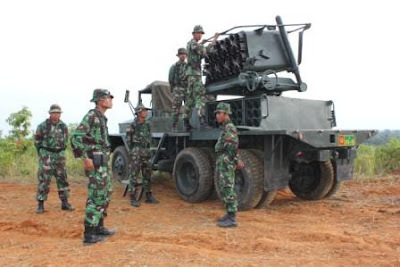 Bertempat di Pusat Latihan Tempur (Puslatpur) Martapura di Baruraja, Sumatera Selatan TNI AD melakukan kegiatan uji coba penembakan roket 130 mm, kegiatan ini berlangsung dari tanggal 23 Juni hingga 6 Juli 2012. TNI AD mempunyai inventaris peluncur roket multilaras 130mm buatan Cekoslowakia jenis M-51/RM-130 dari pengadaan yang dilakukan pada tahun 1960-an. Sistem yang terpasang di atas kendaraan truk V-3S ini terdiri dari 8x4 tabung peluncur roket yang dapat menembakkan roket dengan hulu ledak HE-Frag hingga jarak 8,2 km. 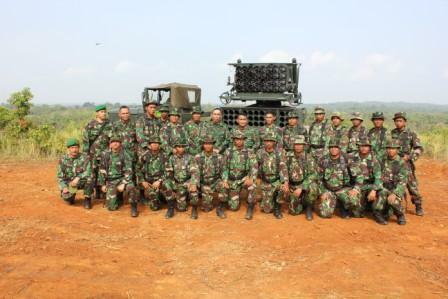 Batalyon roket TNI AD yang pernah mengoperasikan MLRS ini adalah Yonarmed 9 Kostrad berkedudukan di Cimahi (kemudian pindah ke Purwakarta). Keberhasilan uji coba ini menunjukkan bahwa MLRS dari tipe M-51 masih terawat dengan baik. 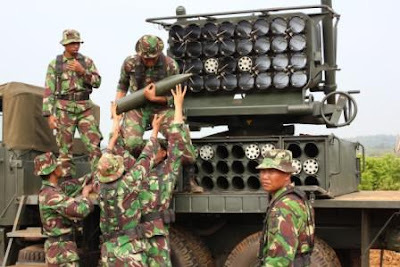 Selain roket M-51 TNI AD diketahui juga menggunakan peluncur roket multilaras NDL-40 (roket kaliber 70mm) dengan jangkauan 6-8 km buatan PT Dirgantara Indonesia dan R-Han 122 (roket kaliber 122mm) dengan jangkauan 14 km buatan PT Pindad. The Department of National Defense said Thursday that it is eyeing government-to-government transactions with South Korea and Brazil for the procurement of T-50 advanced jet trainers and Embraer EMB 314 Super Tucano turboprop light attack aircraft. In a phone patch interview with reporters, Defense Secretary Voltaire Gazmin said that these aircraft are needed to protect Philippine airspace. The South Korean built T-50 is a supersonic trainer that can also perform in the light-strike role. 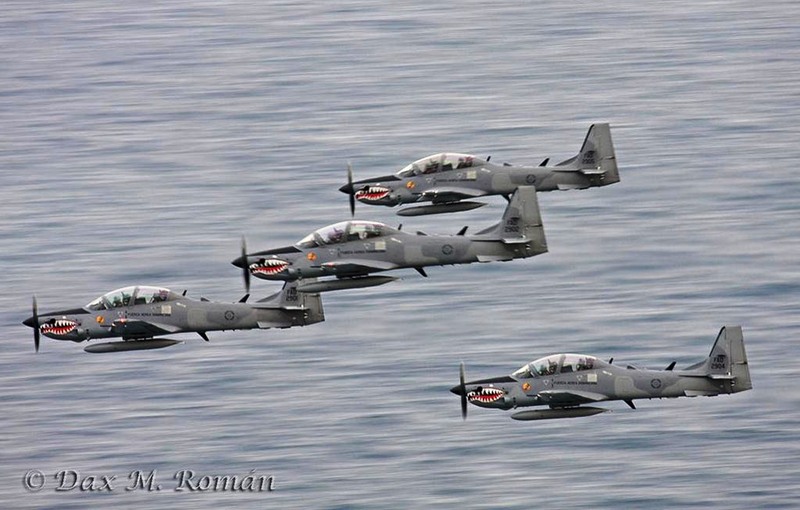 The Super Tucano is designed for light attack, counter insurgency (COIN), close air support, aerial reconnaissance missions. Government-to-government, or G2G, transactions are non-commercial interactions between two governments’ organizations, departments, and authorities. Gazmin made the disclosure amid criticisms from Bayan Muna party list Rep. Teddy Casiño that the use of G2G transactions in the acquisition of military equipment is prone to corruption due to lack of bidding. Gazmin countered that G2G transactions will eliminate middlemen who benefit from commissions, thereby resulting in cheaper acquisition prices. Also, Gazmin gave assurances that under the transparency program of the Aquino administration, “all contracts and processes are open to scrutiny by the people.” He said this transparency is being observed in the bidding for similar assets. “If you are going to go through a third party, there will be commissions and the price will be higher. Now, in government to government (deals), middle men are avoided and at the same time, government officials are accountable in their dealings,” he said. The DND is also looking to obtain ships and communication equipment from either South Korea, Italy, France, Great Britain or Brazil. These acquisitions are also to be carried out through G2G transactions. “But nothing is final yet,” said Gazmin. 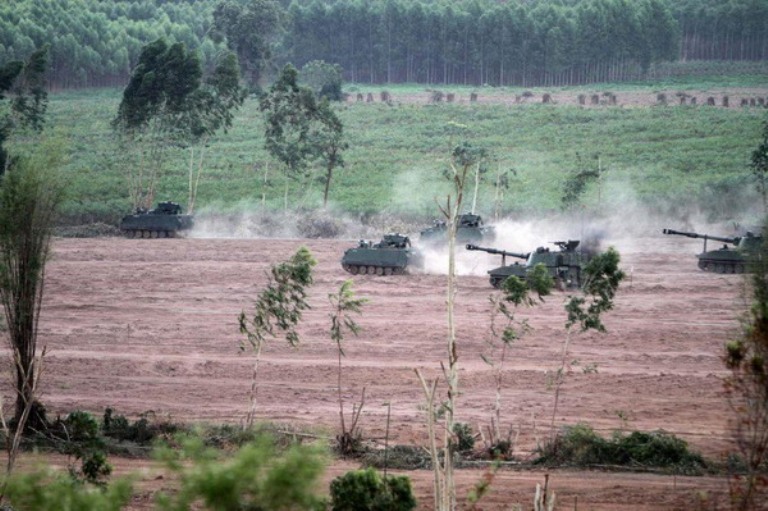 A degraded forest in Sukhothai could serve as a staging ground for large-scale military training drills, the Defence Ministry said. Ministry spokesman Thanathip Sawangsaeng said certain areas in Ban Dan Lan Hoi district, where the 3rd Army's training camp is situated, could be used for the drills as expansion of the military's training ground into those areas would have the least impact on villagers. Col Thanathip was speaking after a meeting of the Defence Council, chaired by Defence Minister and Air Chief Marshal Sukumpol Suwanatat. The ministry wants a larger ground for joint military training, especially drills for the air force, which lacks an area for live ammunition training. Some areas in Ban Dan Lan Hoi district are also being eyed as a new training area for the Singaporean military, a source said. Singapore has leased the training ground at Sai Yok army camp in Kanchanaburi, but needs a larger area as it may need to use live ammunition. 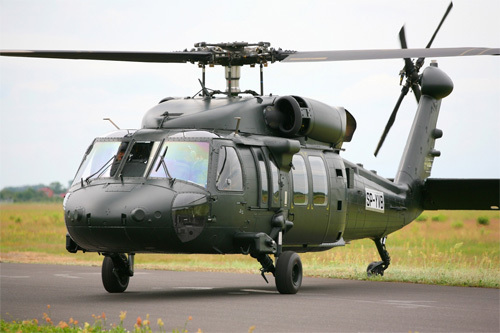 POLAND - On 2 December 2011, the Ministry of Defence, Brunei Darussalam (MINDEF) signed a contract with Sikorsky International Operations, Inc. for the delivery of twelve (12) S-70i™ BLACK HAWK helicopters with spare parts, ground support equipment and training package. To date, the project has achieved several major milestones which include the completion of several design reviews and the completion of several baseline aircraft built in PZL Mielec, Poland. PZL Mielec, a Sikorsky company, which is a subsidiary of United Technologies Corp, produces the S-70i™ baseline BLACK HAWK helicopter which is the latest international variant of the UH-60M BLACK HAWK helicopter employed by the US Army. A team from MINDEF recently conducted a site visit to the PZL Mielec facility in Poland to witness the factory acceptance test for Brunei’s third baseline S-70i™ BLACK HAWK helicopter. The first two baseline aircraft recently completed its factory acceptance tests in Poland in April 2012. 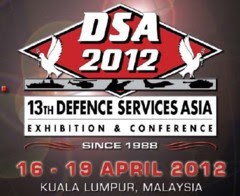 The first aircraft is scheduled to be inducted to Sikorsky Military Completions Center (SMCC) in the United States on October 2012 for the start of customization work to produce the uniquely configured aircraft that meets the Royal Brunei Armed Forces requirements. The delivery of the twelve (12) S-70i™ BLACK HAWK helicopters will replace the current fleet of Bell 212 helicopters and enhance the Royal Brunei Air Force’s rotary wing capabilities in air mobility, Search and Rescue (SAR) and enhance surveillance of Brunei’s waters and borders. The delivery of these advanced new aircrafts will also allow the Royal Brunei Armed Forces to further strengthen its troop deployment capabilities in military and humanitarian and disaster relief operations in the region. The first batch of the uniquely configured aircraft is expected to be delivered to Brunei in early 2014. 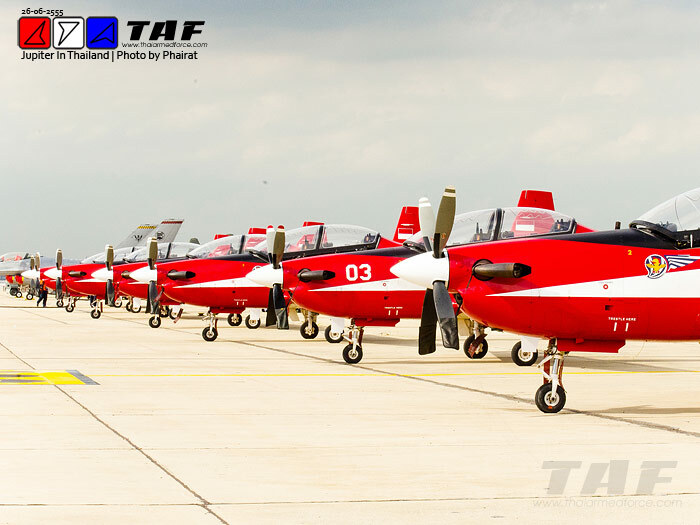 BANGKOK, KOMPAS.com -- Tim Aerobatik Jupiter dari TNI AU untuk pertama kalinya akan tampil di arena kedirgantaraan di luar negeri. Mereka akan beraksi dalam perayaan 100 tahun penerbangan Thailand, di Bangkok, 2 Juli 2012. Tim telah tiba di Bandara Dong Muang, Bangkok, Selasa (26/6/2012). Rombongan yang berjumlah 65 orang tersebut berada di bawah Mission Commander Komandan Wingdik Terbang Kolonel Pnb M Khairil Lubis. Tim Jupiter terdiri dari 12 instruktur penerbang TNI AU dari Pangkalan Udara Adisutjipto di bawah pimpinan Flight Leader Letkol Pnb Dedy Susanto. Tim didampingi Team Supervisor Kolonel Pnb Anang Nurhadi. Personel pendukung Tim Jupiter adalah para teknisi pesawat KT-1B dari Skadik 102 dan Skatek 043 Lanud Adisutjipto. Dalam perayaan 100 tahun penerbangan Thailand di Bangkok, Angkatan Udara Thailand (Royal Thai Air Force/RTAF) mengadakan kegiatan kedirgantaraan berupa Aerospace Exhibition, dengan pameran kedirgantaraan berupa static show dan air show. Tim Aerobatik Jupiter adalah tim aerobatik luar negeri pertama yang diundang hadir dalam perayaan tersebut. Di sisi lain, kesempatan itu menjadi penampilan pertama kali Jupiter di luar negeri. In 2012, the 929th Fighter Regiment (372 Division) has restored the operations of night flight training after 3 years stopped. 929 Air Force Regiment (372 Division) is an air defense fighter units responsible for protecting the central sky country. Group 929 is equipped with interceptor MiG-21bis variant training and two-seat MiG-21UM. After 3 years suspension of night flight training, in 2012 the Air Defense Command - Air Force assigned the 929th Regiment perform night flights back. This is a difficult task, because the long stretch of time, and more of the regiment were transferred to other jobs. However, in the spirit of the collective determination of unit officers and soldiers, with help from the 371st Airborne Division troops and units have been successfully organized aircraft recovery, teacher training as the core unit of pilot training. To make night flying task force, technical personnel is a key factor in ensuring success. Preparatory work should be undertaken early. The aircraft mechanic to prepare the location, checking every detail of the aircraft safety. In this task, there is no general concept for the task, all must be meticulous and precise detail. 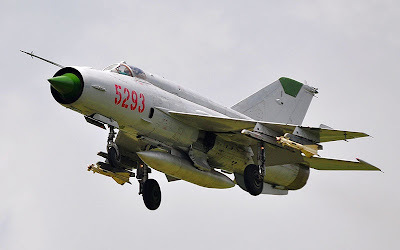 Before each flight the night, a MiG-21UM will evaluate meteorological for takeoff to the preparation. When the city of Da Nang on the lights, it's time the MiG-21 flying wing of the 929th Regiment simultaneously wings into the sky. 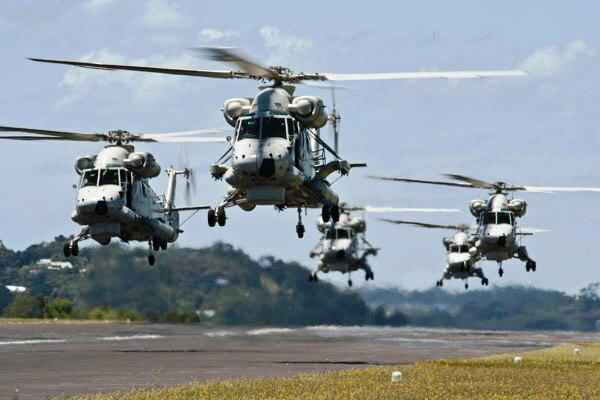 MANILA, Philippines -– The Philippine Air Force (PAF) will get 25 more helicopters late this year to augment its depleting air assets. This was announced during the Air Power Symposium 2012 held at the SMX Convention Center, Mall of Asia in Pasay City on Friday as part of its preparation for the forthcoming 65th PAF anniversary celebration on July 6. The symposium was hosted by Lt. Gen. Lauro Catalino G. de la Cruz, PAF commanding general. De la Cruz said four of the helicopters will be the last of the eight brand-new combat utility Sokol choppers the Department of National Defense ordered from PZL Swidnik of Poland. The arrival of the final four Sokol helicopters will boost the firepower of the PAF which is in dire need of air assets, particularly fighter jets. PZL Swidnik is the largest helicopter manufacturer in Poland. The Sokol helicopter can carry 14 persons, including the pilot and co-pilot and has a maximum speed of 260 kilometers per hour and a range of 745 kilometers non-stop. Each Sokol is armed with a variety of weapons such as air-to-ground rockets, air-to-air missiles, M-60 machine guns and 20mm cannons and climbs to an altitude of 19,680 feet. The contract price of the Sokol choppers was P3 billion. 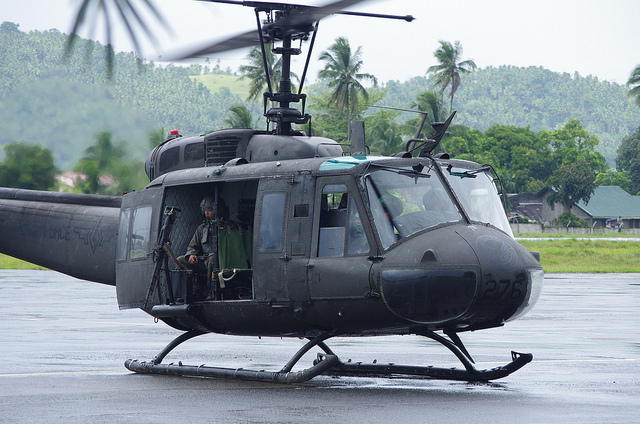 On the other hand, 21 refurbished UH-1H “Huey” helicopters will also be delivered in December this year. 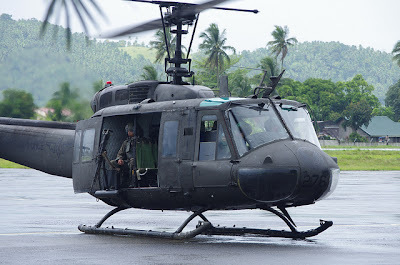 “Hueys” are not only the workhorse of the military’s counter-insurgency operations in ferrying troops to combat areas but are also used during disasters, carrying food, water and medicines for victims stranded in remote areas. Some of the 21 “Huey” helicopters were refurbished in the United States and the others were done by PAF engineers and aircraft mechanics. The acquisition of new combat helicopters is part of the Modernization Program of the Armed Forces of the Philippines (AFP). De la Cruz stressed the importance of air power in the country’s defense. Taking advantage of today’s new technology, De la Cruz allowed questions asked via the Internet, Twitter, Facebook, or mobile phones. The questions were flashed on the wide screen during the question-and-answer portion of the symposium that turned out to be more lively. The Australian Army’s fleet of Tiger Armed Reconnaissance Helicopters (ARH) has been suspended from flying operations as a safety precaution. The suspension was put in place following the precautionary landing of a helicopter at the Shoalwater Bay training area on 25 June after the aircraft’s two-man crew detected fumes in the cockpit. 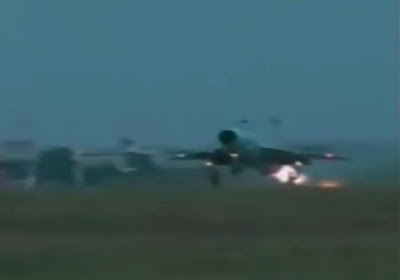 The aircraft landed safely with no injuries to the crew or further damage to the aircraft. Defence is presently investigating the cause of the fumes. There are 22 ARH in the Australian Army’s Oakey and Darwin based fleet, 19 of which are in the fully capable configuration operating in the fleet. The remaining three aircraft are completing a retrofit program and should return to the fleet later in the year. The Australian Army’s Tiger fleet is not yet in full operational service. 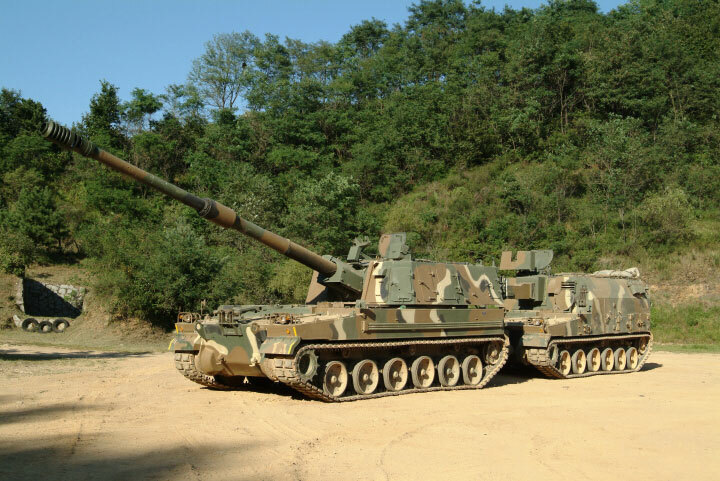 The largest single project to be cancelled in the budget – as opposed to deferred – were Self-Propelled Howitzers (SPH) at a stated saving of $225 million. APDR has been tracking this acquisition, designated LAND 17 Phase 1C, for years and has smelt a rat for a long time. It has been clear that since at least 2008 that Army and sections of the Defence bureaucracy did not like the outcome of their competitive tender process and did everything in their power to avoid signing a contract with the preferred bidder. The first and most absurd howler in this statement is the weight claim. The preferred vehicle – the Raytheon Australia / Samsung Techwin AS/9 – comes in at just under 50 tonnes. 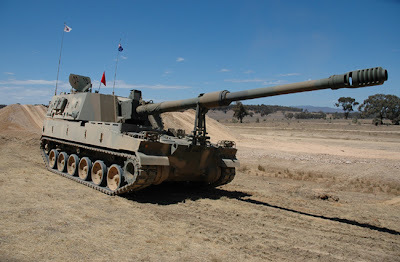 It is lighter than an M1A1 Main Battle Tank – of which Australia has 59 – and can be moved by low loader, C-17 transport aircraft and anything else that can shift an MBT. The Minister has either made up this nonsense or he is simply parroting demonstrable rubbish produced by the Department. The second matter he alludes to is ammunition compatibility. This seems to refer to a Departmental internal study that has breathlessly concluded that ammunition for an existing 39 calibre howitzer will not deliver adequate range when fired from the AS/9. That is hardly a surprise because the AS/9 uses a longer 52 calibre barrel and simply requires the ammunition to match. Again, either the Minister or the Department seems to operate in isolation from inconvenient things called facts. 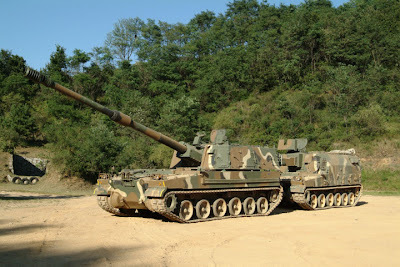 The General then went on to explain that there were acceptable substitutes in the form of the M-777 towed howitzer, currently being acquired from the US under a Foreign Military Sales contract. The General alluded to changed circumstances but did not explain in detail what they were. The true story is far murkier and does no credit to Defence. It is very difficult to see what has changed since the process to acquire SPHs started in 2006 when this capability was deemed to be a vital element of the new doctrine of Hardening and Networking the Army. What did change was Army’s thinking that they wanted a tracked system rather than a wheeled solution, which had been their original preference. 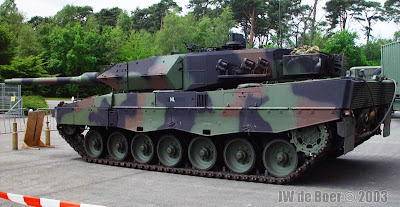 After seeing a tracked, armoured Dutch PzH2000 based at Tarin Kowt lobbying shells into the distance, the powers that be decided they wanted one of those. Accordingly, the tender process was “tweaked” to exclude anything other than tracked solutions. But then things went adrift. As APDR has amply reported on previous occasions, it seemed that only the PzH 2000 would do. Once it became clear that the AS/9 was the only product meeting Army’s own requirements, Defence slowed down the acquisition to an extent that would have been comical if the matter was not so serious. Process was added on to process, delay followed delay – all while the Department continued to assert that everything was above board and in accordance with Defence Capability Plan schedules. Defence itself has spent $11 million on this wasted process. Rather like a spoilt child in a toyshop, Defence only wanted one brand of ray gun or tricycle and obstinately refused to accept any substitute. An AS/9 was brought to Australia for firing trials at Port Wakefield, but to no avail. Local SMEs contributed world-leading track technology and add-on armour. Prime contractor Raytheon Australia demonstrated end-to-end functionality of firing the Excalibur 155mm precision-guided round, produced by the company’s US parent. None of these things made the slightest bit of difference to the eventual outcome. Defence has been prepared to drag out the process until eternity – waiting until finally circumstances have enabled them to recommend to an obliging and compliant Minister that he terminate the acquisition – to the eternal shame of all those involved. 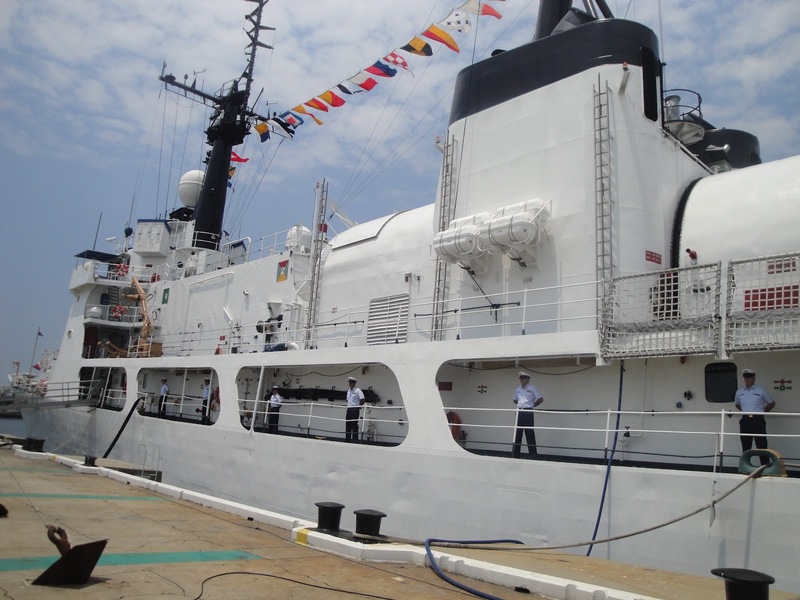 VICE Adm. Alexander Pama, Navy flag officer in command, on Sunday said the government has allotted funds to buy the weapons to rearm the second Hamilton-class cutter that was sold by the United States government without its weapons system. Defense Secretary Voltaire Gazmin and Foreign Secretary Albert del Rosario, during their recent visit to Washington, requested the US government to retain the weapons system of the second cutter including the restoration of the same weapons that were removed from the first cutter, but to no avail. The stripped weapons include missiles, search radar and close-in weapon system (CIWS), among others. What the Americans left only in the ship was a 76mm gun. This led Gazmin to announce that the government is exploring defense articles from other countries, including the idea of buying new jet fighters instead of buying secondhand F-16s from the US. “Well, we cannot demand. We [can only] asked if it’s possible, we also understand that they also have their regulations to follow and thus we’ve to make do with what’s left and will optimize it. Anyway, the government gave us fund to buy the needed weapons. Kaya nga ang actual na ibinayad natin dito sa pangalawang Hamilton is a little bit more than what we paid for BRP Gregorio del Pilar,” Pama said. Pama said included in the additional funding is money for weapons training of the ship’s personnel. 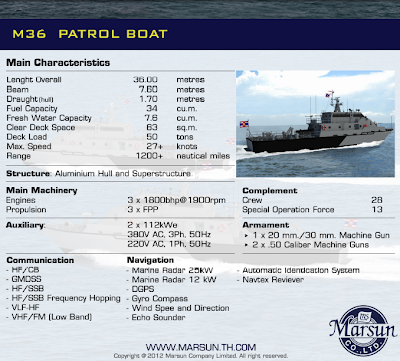 The military said it bought the first weaponless cutter (BRP Gregorio del Pilar) in 2011 for P450 million. The second, that will be renamed BRP Ramon Alcaraz, is expected to arrive in the country on or before November for its scheduled commissioning the following month. “We added communication equipment and some other equipment. We will see all these when the ship arrives,” Pama said. The two high-endurance cutters were new additions in the inventory of the Navy’s mostly World War II vintage ships. 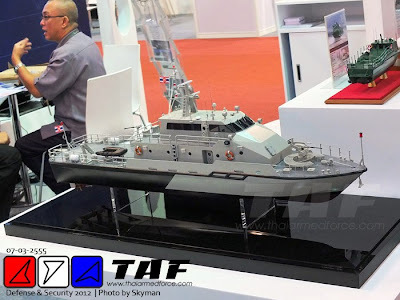 But just recently, the Navy showcased some of the locally made fastcraft and medium-sized landing ships. Pama added that there is no negotiation yet for a third cutter but this is part of the whole plan of getting at least three cutters with three helicopters. “Our domain awareness needs naval equipment such as vessels and these vessels need helicopter on board. Kaya nga sa programa natin tatlong helicopter at tatlong Hamilton-class, one is to one,” Pama said. The money that is being used to modernize the Navy is part of the almost P12 billion derived from the Malampaya gas project of the Department of Energy (DOE) and leftover of the Armed Forces modernization fund that was earlier approved for release by President Aquino to boost the naval and air capabilities of the Armed Forces for maritime security patrol and operations. And just recently, Mr. Aquino has approved an initial P70 billion for the defense and military to work out for capability upgrade. Gazmin said there are 138 modernization projects on board to be implemented over the next five years. “Our department is now working speedily on the approval of the contracts for the 138 upgrade and modernization projects of our Armed Forces… The deadline that we have set for ourselves for the approval of all these contracts is on July 21, 2012,” he said. 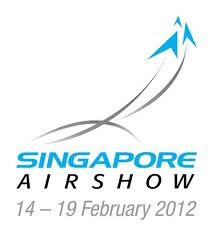 NEW DELHI - Arguing that maintenance costs have gone up, India has asked Singapore to cough up more money for using its military base for the advanced training of Singapore Air Force personnel. The two countries are racing against time to complete negotiations for renewing the lease agreement on a long-term basis, with Singapore Prime Minister Lee Hsien Loong scheduled to arrive in India in the second week of July. “We have asked for more money as costs have really gone up...We hope to reach an agreement with Singapore soon, as we hope it will be signed during (Singapore) Prime Minister’s visit (to India),” said a senior government official. Singapore has given high priority to its military preparedness following its bitter split from Malaysia in 1965. In October 2007, India, for the first time, allowed a foreign country to station its troops and Defence facilities on a long-term basis, which was a demonstration of India’s reliance on Singapore as an anchor for its ‘Look East’ policy. The agreement for the conduct of joint military training in India between the IAF and the Republic of Singapore Air Force (RSAF) was signed in Delhi, as part of the annual Defence Policy Dialogue. Incidentally, India and Singapore have also signed a similar agreement for Army training, but it will come up for renewal next year. For Singapore, which has an area of just 700 sq km, overseas training for its fighter pilots, primarily flying F-16 fighter jets, is necessary in the absence of any suitable open tracts of land and airspace. “It has been a win-win situation for both sides. We get upgraded facilities, while they get space to conduct their exercises,” said the official. In the past five years, Singapore has set up its own facilities at Kalaikonda air base in West Bengal, including residential block and stores. Institute of Defence was invited by Marsun Shipbuilding and the Navy to participate in the keel laying ceremony of the M36 boat for Naval fleet support at the Marsun Shipbuilding shipyard. 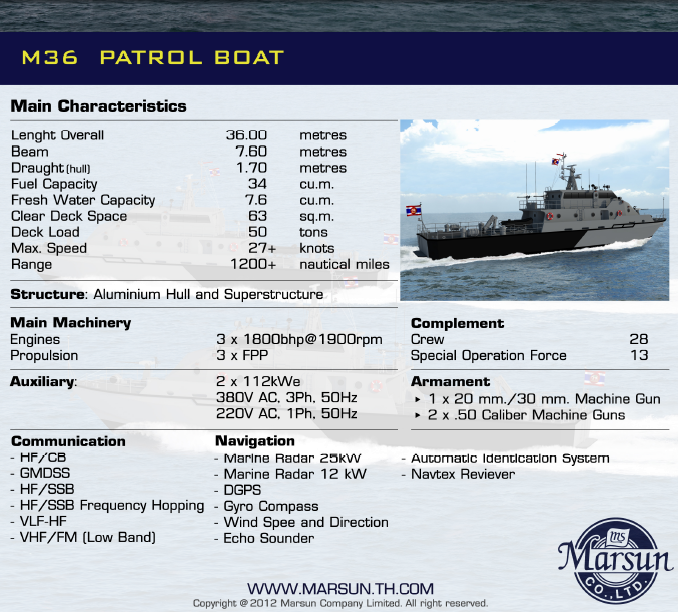 Three M36 ships will be built by Marsun. 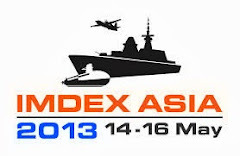 The mission is to support the operation of ships at sea surveillance patrols to prevent infiltration, protection of fishing boats and commercial vessels, prevention and protection of natural resources in the Gulf of Thailand and Andaman Sea. Law of the sea by naval authorities have been delegated to provide security and glory of the royal family. 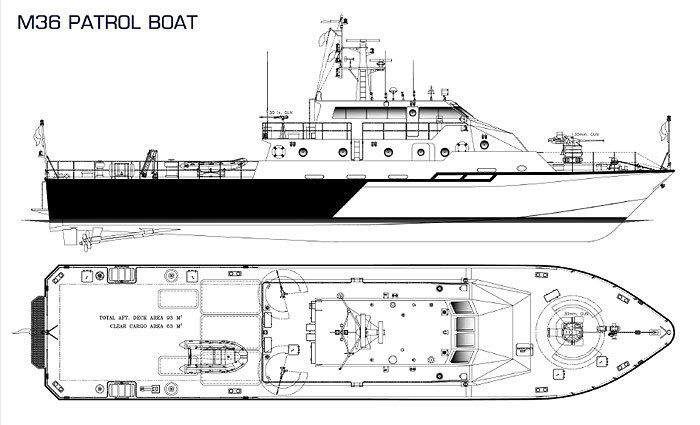 The vessel has a Special Operations Unit, which can be delivered in the Royal Navy. Container or nursing, which can be introduced in hospitals and medical treatment to the ships for the victims. The concept of shipbuilding in the style of boat used for staff who work on offshore oil drilling. The new ship designs are used by the army is still preserved. Official standard hull made ​​of aluminum and is active in the Coast Guard fleet, based at Sattahip, Chonburi. The purpose of this ship is at a low level threat protection and rescue people from disaster. This ship is armed, has a boat dock with a 30 mm machine gun and two 0.50-inch machine gun platform and bomb. The missile can be used if the mission is to find a high level of threat. The budget for the third ship of about 553 million baht. 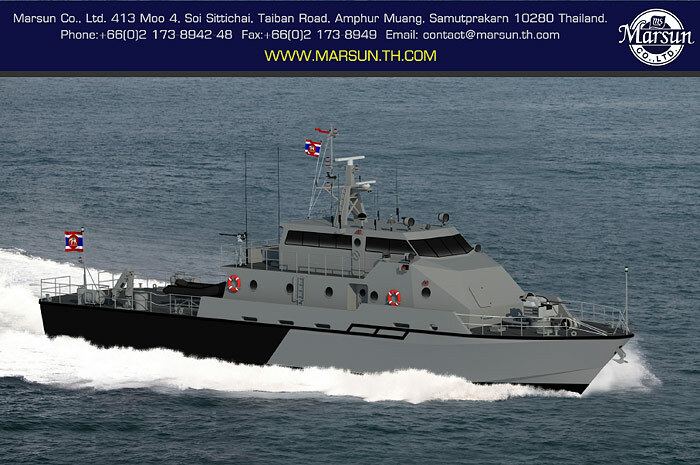 Marsun Shipbuilding Co. will deliver the ship to the Navy in 2013. Use of this ship by the Navy in the country is considered as promoting self-reliance and sustainability and to express confidence in the quality craftsmanship of the Thai people with the ability to develop to meet international standards, thus the defense industry will continue to grow in a sustainable manner. MANILA, Philippines - The Philippines is planning to purchase a third warship and three naval helicopters to bolster its maritime defense capabilities in a region increasingly wary of China's looming presence. The Philippines currently has one warship in its possession, the BRP Gregorio del Pilar. Another warship, the BRP Ramon Alcaraz, is expected to arrive in the country later this year. Apart from a third warship, the Philippine Navy said it was planning to purchase three "marinized" naval helicopters to complement its available warships. No definite date has been set, but Navy chief Vice Admiral Alexander Pama told reporters Friday the plan is to buy these using funds generated from the Energy department's Malampaya project. 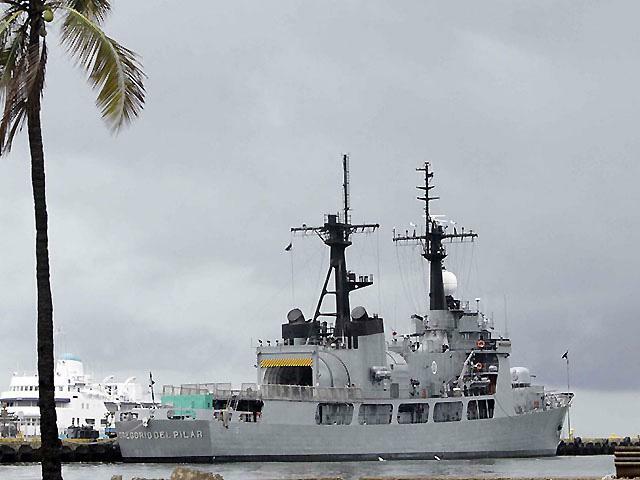 Pama, in an interview with reporters at the Air Power Symposium in Pasay City, said the three will eventually be attached to the Hamilton-class cutters purchased from the United States. "Our budget is set for three [helicopters] since domain awareness calls for helicopters on board; that’s why in our program there are three helicopters [for] three Hamilton Class [ships]. One is to one," Pama explained. At the moment, officials are busy preparing for the arrival of the second warship, BRP Alcaraz. A 90-man crew from the Navy has been in Charleston, South Carolina since April for training and repairing of the ship. A large majority of MPs remain opposed to the planned sale of surplus Leopard tanks to Indonesia in a €200m deal, the NRC reports on Friday. The cabinet will now discuss the issue again, after MPs said during a debate they are not convinced that Indonesian democracy and human rights have been 'vastly improved', as claimed by foreign minister Uri Rosenthal. 'I have not heard one human rights expert say that exporting weapons is responsible,' GroenLinks MP Arjen El-Fassed is quoted as saying. Ministers agreed earlier to sell the tanks to the former Dutch colony and use the cash to buy unmanned aircraft. The deal would also strengthen the relationship between the two countries, ministers said earlier. Even though a majority of MPs oppose the deal, the cabinet can still decide to go ahead, NRC correspondent Huib Modderkolk said. JAKARTA, KOMPAS.com - Peristiwa kecelakaan pesawat Fokker 27 yang jatuh di Kompleks Rajawali, Halim Perdana Kusuma, Kamis (21/6/2012), membuat TNI Angkatan Udara berbenah. 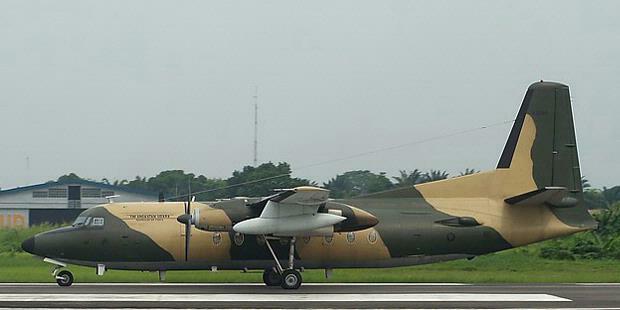 Lima pesawat Fokker 27 lain yang dimiliki TNI AU berhenti operasi demi keselamatan. Hal ini diungkapkan Kepala Dinas Penerangan Angkatan Udara, Marsekal Pertama Azman Yunus, di Taman Makam Pahlawan (TMP) Kalibata, Jumat (22/6/2012). "Latihan rutin yang memakai Fokker 27 dihentikan dulu sementara waktu. Kami akan lakukan investigasi internal dulu kenapa pesawat itu bisa jatuh," ucapnya. Azman mengatakan, TNI AU memiliki enam pesawat Fokker 27. Satu di antaranya pada Kamis (21/6/2012) siang jatuh di pemukiman penduduk Komplek Rajawali. "Semua Fokker 27 saat ini diletakkan di homebase untuk sementara waktu," tutur Azman. 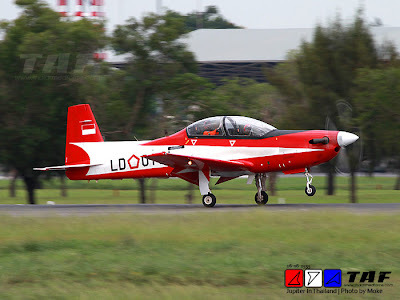 Lima unit Fokker tersisa itu akan diperiksa kelaikan mesinnya terlebih dulu untuk memastikan keamanan pesawat. Seluruh pesawat itu baru akan beroperasi setelah hasil investigasi keluar sekitar tiga bulan lagi. Azman memastikan latihan rutin bagi para calon penerbang dan penerbang Skuadron 2 tidak terlalu terganggu setelah ada kecelakaan itu. Pasalnya, jenis latihan bisa dilakukan dengan cara lain yakni simulator. "Atau bisa juga dengan menggunakan pesawat jenis lainnya yakni CN 235," pungkas Azman. Belum diketahui pasti apa penyebab pesawat latih itu jatuh di pemukiman warga. Korban tewas mencapai 11 orang, terdiri dari 7 anggota Skuadron 2 Landasan Udara Halim Perdana Kusuma TNI Angkatan Udara dan 4 warga sipil yang berada di dalam rumah yang tertimpa pesawat. REPUBLIKA.CO.ID, JAKARTA -- Menteri Pertahanan, Purnomo Yusgiantoro, menyatakan pesawat angkut ringan TNI AU jenis Fokker 27 dengan nomor ekor 2708 sebenarnya sudah akan diganti dengan pesawat lainnya. Terlebih lagi usianya yang sudah cukup tua. “Di Kemhan sudah menandatangani kontrak dan sedang dikerjakan 10 pesawat CN 295,” katanya saat memberikan keterangan pers di kediaman Wakil Presiden, Boediono, Kamis (21/6). Purnomo mengatakan dua pesawat pertama akan didatangkan pada tahun ini. Selanjutnya akan dikerjakan oleh PT Dirgantara Indonesia. Penggantian ini bukan tanpa alasan. Sebab, pesawat tersebut masuk dan menjadi bagian dari kekuatan Skuadron 2 penerbang pada 9 Februari 1977. Artinya, pesawat tersebut sudah berusia 35 tahun. Pesawat Fokker 27 buatan pabrik Fokker Netherland dengan engine 2 EA Rolls Royce Dart MK 536-7R itu memiliki rentang sayap 18 meter, panjang badan 15.154 meter, tinggi 6,31 meter, dan berat maksimum 7.450 kg. Pesawat ini mempunyai daya angkut 40 orang penumpang dan mampu menjelajah selama enam jam. Perth – Quickstep Holdings Limited (ASX Ticker: QHL), an Australian-based advanced composites manufacturer, is pleased to advise that it has secured a second Long Term Agreement (LTA) with Northrop Grumman Corporation (NYSE:NOC) to manufacture parts for the international F-35 Lightning II Joint Strike Fighter (JSF) program. The LTA covers production of “Group 2” JSF components until 2020, and follows the LTA signed in February 2011 for Group 1 JSF components, for which manufacturing is now underway. 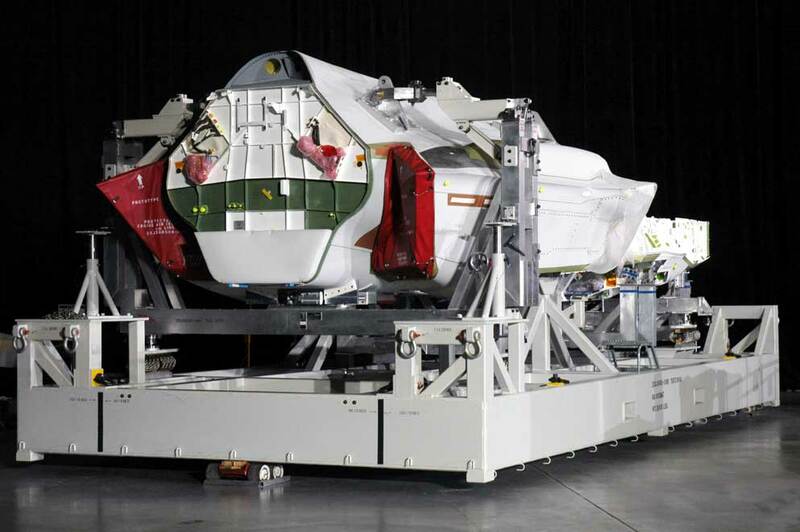 Group 2 parts represent more complex aircraft components, including portions of the main F-35 structure and supports. The first Purchase Order for Group 2 parts is expected to be received in July 2012. The signing of the LTA follows Quickstep’s successful completion of a qualification process to demonstrate production readiness for the manufacture of Group 2 parts. Managing Director of Quickstep, Mr Philippe Odouard, said the securing of a second LTA with Northrop Grumman represented a further endorsement of the Company’s aerospace manufacturing capabilities. The Group 2 LTA represents the second in a series of three agreements which will implement the Memorandum of Understanding (MOU) that was signed in November 2009 with F-35 prime contractor Lockheed Martin (NYSE: LMT) and Northrop Grumman, one of its principal F-35 subcontractors. Under the MOU, Quickstep will supply a number of different JSF components, including lower side skins, maintenance access panels, fuel tank covers, lower skins and ammunitions doors. Quickstep expects to secure the third and final LTA to manufacture Group 3 JSF parts later this year. Philippe Odouard said that Quickstep’s involvement in the JSF program has not been impacted by reported delays to the program. purchase programs, however at this stage we do not anticipate any immediate impact on the ramp-up of our operations in Australia,” Mr Odouard said. MANILA, Philippines – The eight brand new combat helicopters purchased by the Philippine Air Force as part of its equipment upgrade will also be used for search and rescue operations in times of calamities, its spokesperson said on Wednesday. 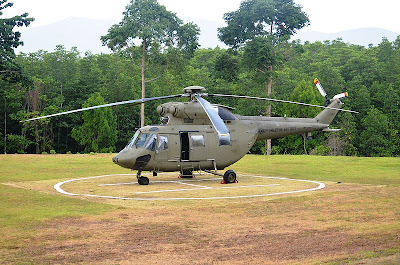 Lieutenant Colonel Miguel Okol told Radyo Inquirer 990AM that the PAF leadership has decided to use the W-3A Sokol helicopters not only for combat but also for search and rescue operations. Four of the eight helicopters were received by PAF last March from Polish manufacturer PZL-Swidnik SA. By the end of the year, the brand new two-engine helicopters may be used for search and rescue operations. Okol said they were also looking to acquire new fighter planes, radars and other equipment to beef up their operations for territorial defense. PAF will be opening to the public its Fernando Airbase in Lipa, Batangas on July 6 as part of its 65th founding anniversary. Okol also encouraged the public to attend their air power symposium on July 22 and participate in a fun run with PAF officers on July 24 at the Venice Piazza in McKinley Hill. The PAF spokesman said they would like to explain to the public how the upgrade of equipment could benefit the country and its people. BLOOMFIELD, Conn.-- (NYSE:KAMN) Kaman Corporation confirmed today that The U.S. Department of State has granted authorization that would permit the Company to negotiate a possible sale of SH-2G(I) Super Seasprite Helicopters to the Government of New Zealand. The potential sale would include eleven SH-2G(I) helicopters, a full motion flight simulator, training aids, spares inventory, publications and the introduction into service and through life support of the aircraft.